Rully is the quaint town with a prominent and beautiful medieval chateau. It is just south of the Cote de Beaune. That same famous slope from the Cote de Beaune continues into this town, which is why you can find some high quality wines at very reasonable here. Rully is most famous for its white wines, but can offer some surprisingly tasty reds, too. We have one producer who makes excellent examples of both types of wine. 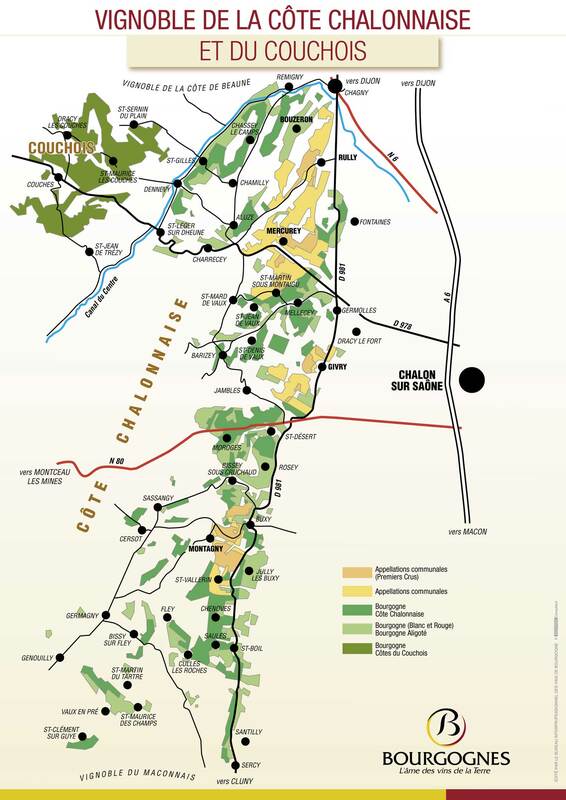 Rully is also the home of Cremant, the sparkling wine made in Burgundy. The best producer is the former mayor of Rully, who makes the one and only Cremant that we carry. Please call us to learn more about our Rully Wines and their availability.